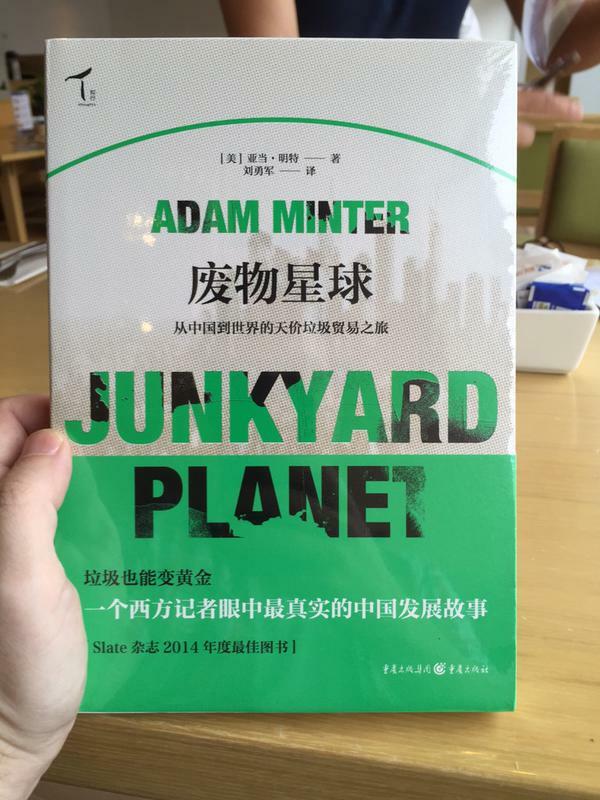 I’m pleased – as in thrilled – to announce that the Chinese edition of Junkyard Planet has just been published. When I started writing the book four years ago, I always had a Chinese audience in mind. Nonetheless, for all kinds of reasons, there was never any guarantee that I’d reach that audience. So the fact that the book is now available in bookstores across the country is incredibly satisfying. I’m quite eager to see the feedback, and I’ll share it with my blog’s readers as it comes. In the meantime, I’d be very interested in hearing what Chinese readers think of the translation. Please reach out to me if you’ve read it.